Waterton is the smallest of Canada’s Rocky Mountain National Parks. It’s tucked into the southwestern corner of Alberta, abutting British Columbia and Montana. The park is situated where the rugged Rockies thrust up from the rolling grasslands of the prairies and is a place of awesome scenic beauty. 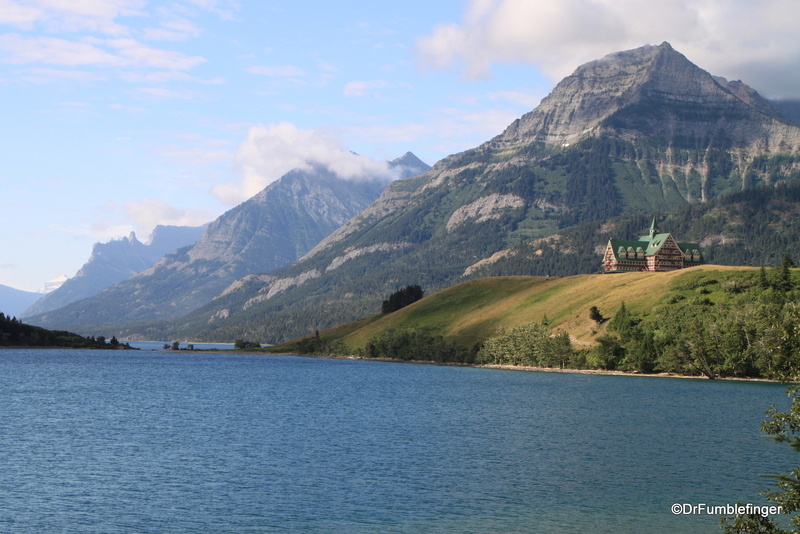 Together with the U.S.’s Glacier National Park, Waterton is part of an International Peace Park, a UNESCO World Heritage Site and a World Biosphere preserve. 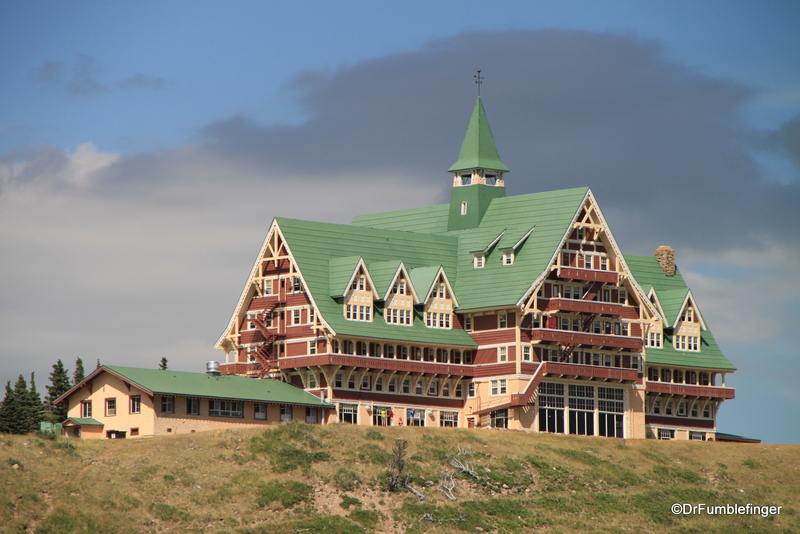 The most iconic landmark of Waterton National Park is The Prince of Wales Hotel. 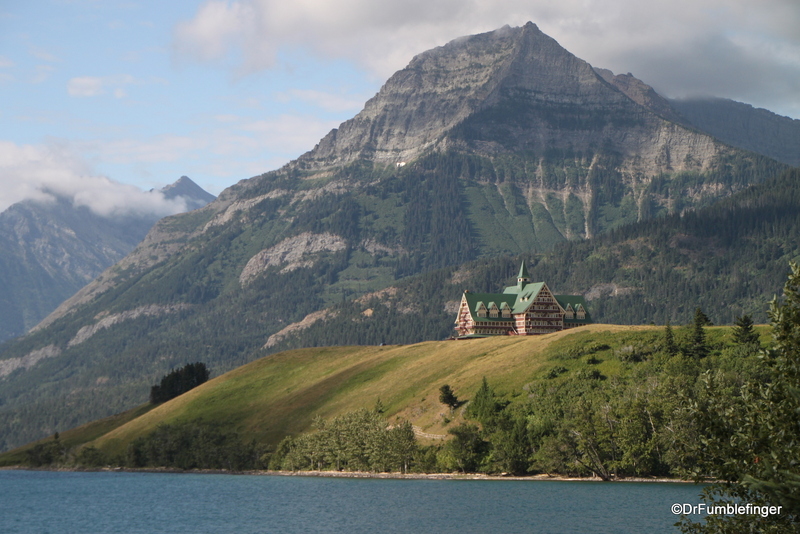 Built by the Great Northern Railway, which constructed the many (now historic) lodges in adjoining Glacier National Park, Montana, the hotel sits on a hill overlooking the Waterton Lakes and Waterton village. The hotel was opened in 1927 and is named in honor of the then Prince of Wales, Prince Edward, who was later to become King Edward VIII, a well liked and charismatic man who quickly abdicated the British Throne in 1936 to marry American commoner, Wallis Simpson. The hotel remains relatively unchanged and has been designated a National Historic Site of Canada. I can think of few places in the world that offer more scenic views than the south facing rooms of the Prince of Wales hotel. This photo was taken about a kilometer north of the hotel, facing south towards Waterton village and in the direction of Montana.